With a “round-number” milestone birthday tomorrow, I thought I’d mark the occasion and the passing of time by turning the camera on myself. 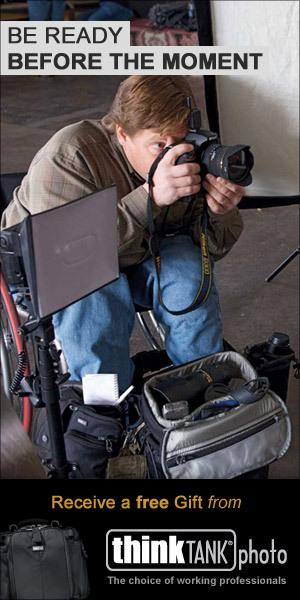 Like most photographers, I am much more comfortable on the other side of the lens. However, every now and then I feel compelled to put myself in the position of my subjects. It’s not quite the same as being photographed by a stranger, but it reminds me of how it feels to be under the scrutiny of the unforgiving eye of the camera. It feels a little narcissistic, but it does actually help me empathise a little more with the friends and strangers I ask to photograph. Most of the time I spent playing with the ratio of the key light to the fill light, and balancing against the midday sun. I made about half a dozen frames, and actually ran out of time as I had an appointment I had to get to. Fortunately, I had a frame I could use. I shot this with a Fuji X-E2 mirrorless camera with the Fuji 35 f/1.4R lens (50mm equivalent focal length). The image was created with three light sources: two speedlights, plus the midday sun. The background is the side wall of my house. It is actually painted white, which tells you immediately that the ambient daylight was significantly underexposed in order that I could take control of the lighting and build the exposure the way I wanted to. The camera settings to achieve this deliberate under-exposure of the ambient light were 1/180 sec, f/16, and ISO 200. I stood a few metres away from the wall. The reason for doing this was to be able to light on two separate planes (the wall being one plane, and me the other). The wall was in shadow, and I stood in a strip of sunlight. Significantly under-exposing the ambient light from the sun allowed the sunlight falling on the right-hand side of my face (camera left) to produce a nice highlight without being too hot. If I had exposed the shaded wall correctly, the highlight on the right side of my face (left side of picture) would have been seriously overexposed. So under-exposing the ambient light achieved two objectives: firstly, a nicely exposed highlight on my face; and secondly, a dark background and dark left side of my face which I could light as desired. I set my shutter to the camera’s max sync speed, which on the Fuji X-E2 is 1/180 sec, in order to give me the most flash-friendly aperture. I still needed to shoot at f/16 and ISO 200 (the camera’s base ISO) to under-expose the ambient, even though I had chosen the shady side of the house to make my self-portrait. The key light was a speedlight high camera right zoomed to 105mm through a grid spot aimed at my face (i.e. on the opposite side from the sun) for some hard light, warmed with a 1/4-cut of CTO gel. Why the grid spot? Why not just a bare speedlight? The answer is that the hardness of the light – by which we really mean the hardness of the shadows, or the abruptness of the transition from highlight to shadow – is simply a function of the relative size of the light source. A bare speedlight would give me hard light. However, it would be hard light spilling uncontrollably over a fairly large family of angles, even with the flash head zoomed to 105mm. The grid spot funnels that hard light into a narrow beam, with a beautiful feathering off of the light. I wanted to primarily light my face, with the light decreasing in intensity lower down my body. This is what the grid spot gives you. It does not make the light any harder (since it does not make the relative size of the light source any smaller). It simply corrals the already-hard light. A lot of the drama of the light comes from the narrow beam produced by the ⅛” grid over the flash head. Think: ‘theatre, stage, spotlight’. That is the grid spot. A snoot would have a similar effect, but I generally prefer the grid spot, because the way the light feathers off with the grid is more beautiful. The purpose of the ¼ cut of CTO gel is to warm the light slightly, which generally results in more pleasing skin tones. For this to work, you need to take control of your white balance, and not simply leave it on the ‘Auto’ setting. For example, setting the white balance to ‘daylight’ will ensure that the gelled light from the Speedlight will look warm relative to those areas of the frame not illuminated by the light from the flash – such as the wall in the background, or lower down the body. I love shooting with hard light for the atmosphere and drama it creates, but unless you have the flawless skin of a model – which I definitely don’t – it shows up every imperfection in the skin. For male portraits this is not necessarily a problem – the story of a life lived is in the lines of the face, right? – at least, that’s what I tell myself at 06:00 a.m. after a late night and a few too many drinks. However, you can control the depth of the hard shadows created by the hard light by adding a little fill light to taste. The ‘drop-off’ of the hard light (the transition from highlight to shadow) is very abrupt, but the depth of the drop – the depth of the shadows – is controllable with fill light. To use an analogy which might help: the steepness of the cliff corresponds to the hardness of the light; the height of the cliff is determined by the ratio of the key light to the fill light. You can have a steep cliff which is not very high, or a high cliff which is not very steep, or a cliff which is both steep and high. It’s all within your control once you understand a little about lighting. So in this case, I added some fill. This was achieved using a second speedlight around a stop below the key light firing through a shoot-through umbrella, low and on-axis (i.e. in line with the lens) to provide some soft fill light. Also gelled slightly warm. Et voilà! – one quick birthday selfie for the scrapbook. Ha ha! – thanks dude!